Lily is dedicated to providing students with the best possible learning environment and is aware that every student has individual goals, personalities, and learning styles. She believes it is important to communicate with both parents and students to discuss ways in which these goals can best be met. With a background in post-secondary music, over 9 years of private music instruction, a degree in education, and experience teaching in a formal school setting, Lily develops an approach that will work best for each individual student. Whether a student just wants to learn enough to have fun playing a few favourite songs, or is an aspiring professional, a music lesson plan especially tailored to fit specific musical needs and interests will be developed. In addition to completing private piano and voice studies in both the classical and contemporary traditions, Lily furthered her music education at Grant MacEwan University in Edmonton Alberta, where she received a Music Diploma with a Dean's List First Class Honors Standing in 2005. Lily founded her music studio in September 2009, and has been teaching enthusiastic students who are dedicated to honing their musical talents and abilities ever since. Solo Performance, Ensemble (Leading a Band), Theory, Ear-training, Music History, Music Business, Arranging and Songwriting are inclusive in Lily’s post-secondary music education. 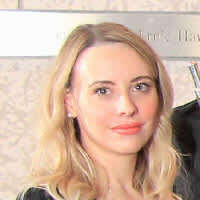 In 2011, Lily graduated from the University of Alberta with a Bachelor's in Education with Distinction, and feels that the specialized skills and theoretical background knowledge, that are the foundations of the Bachelor of Education Degree Program, have also helped her to develop as a more knowledgeable and effective, encouraging, and dynamic private music teacher.